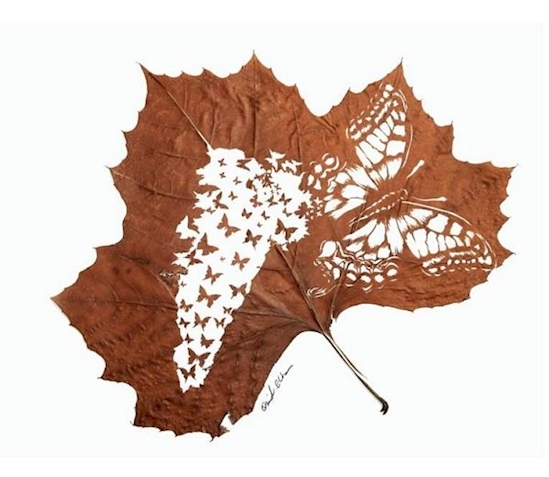 Here is one extremely unique and definitely beautiful form of artwork that you will see for a while. 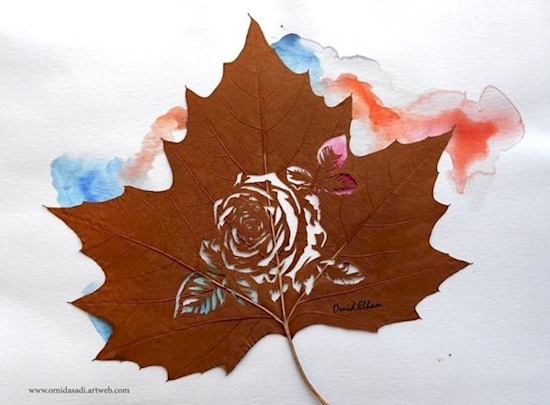 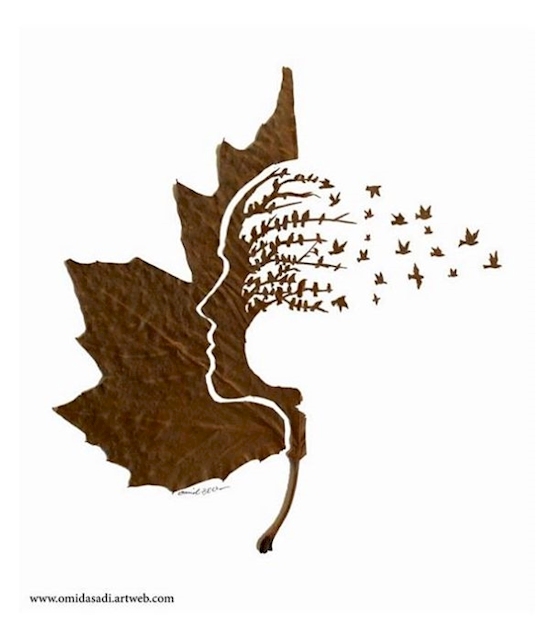 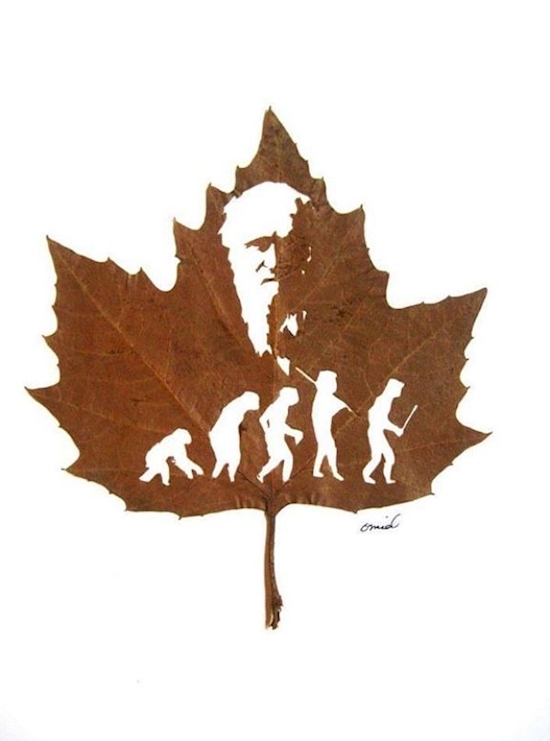 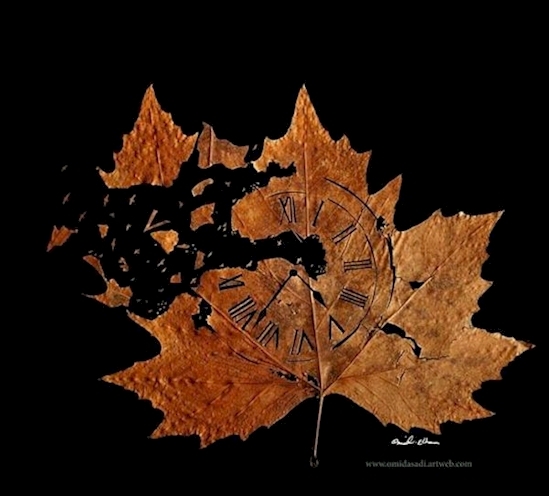 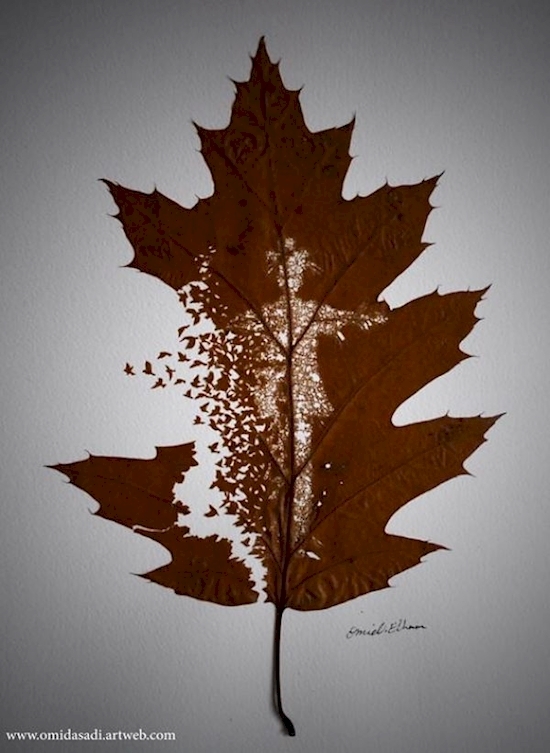 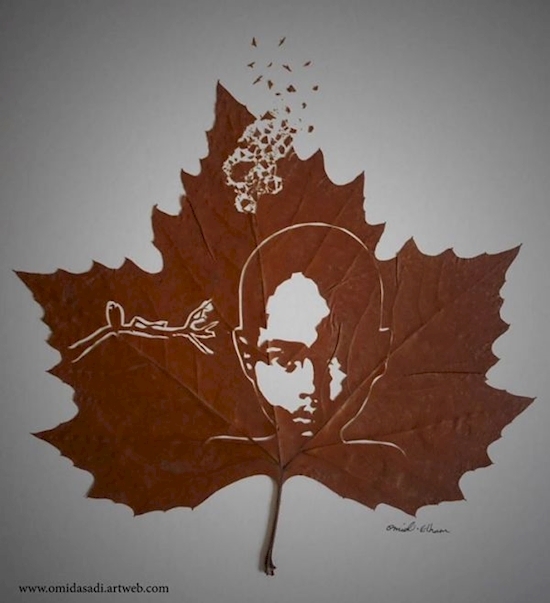 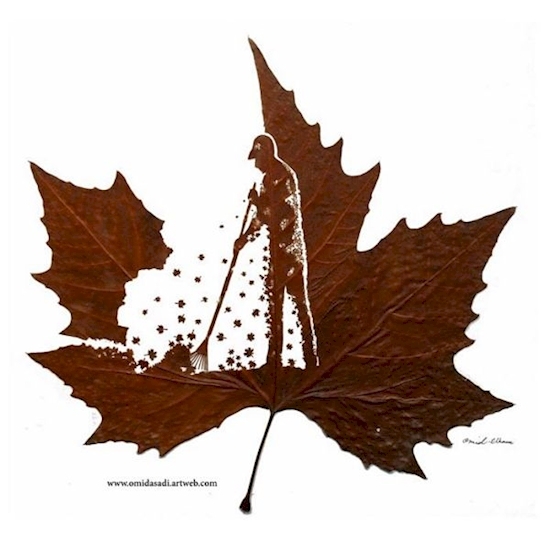 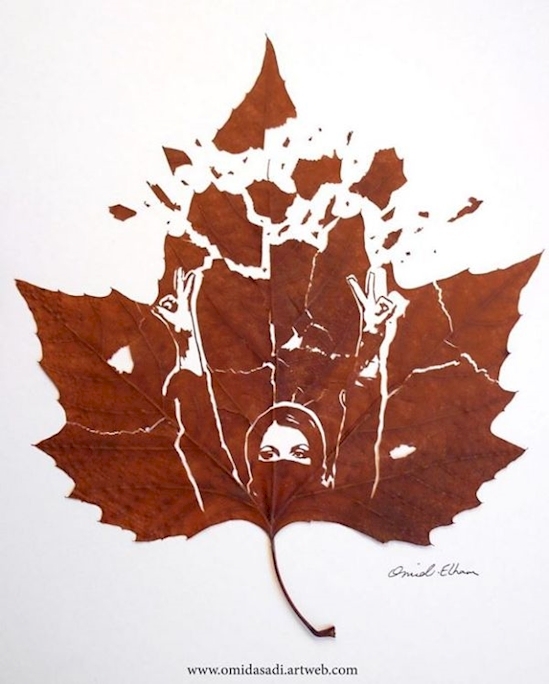 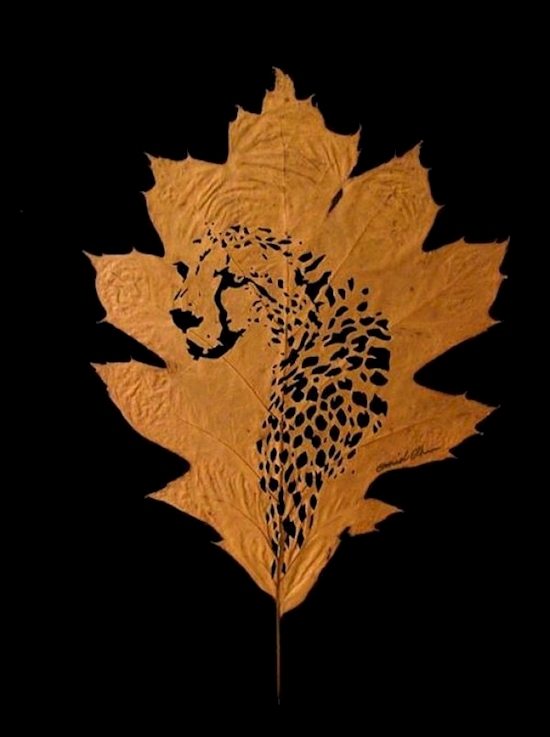 This artist, Omid Asadi uses natural leaves as his canvas for carving small and intricate designs on. 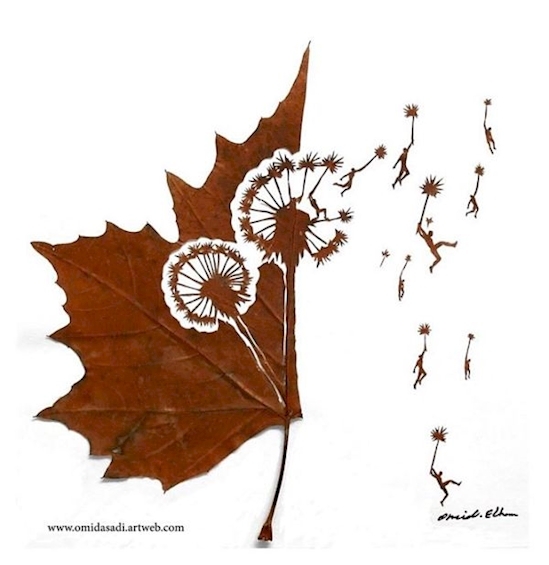 As an artist, Omid grew up his interests in the arts as a young child who drew on flowers which was the original inspiration for using nature as his art from. 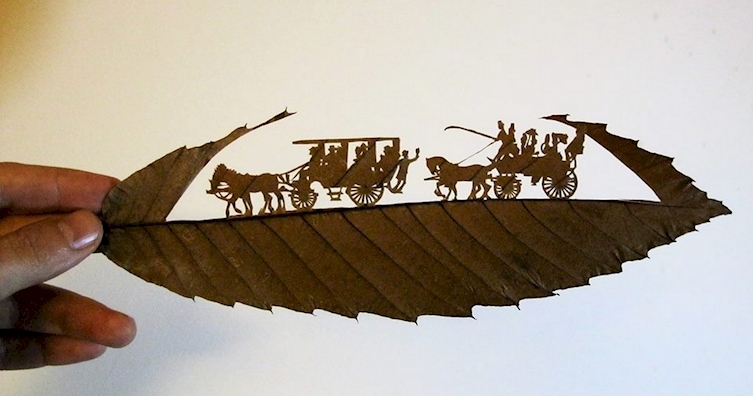 This interesting form of art has earned him a place in exhibits at places like Milan and London. 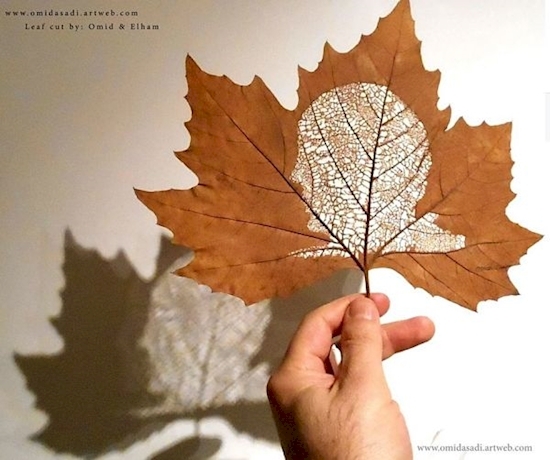 Get ready to view some amazing work that Omid first sketches an outline of his design and then begins carving the leaf by hand and inch by inch. 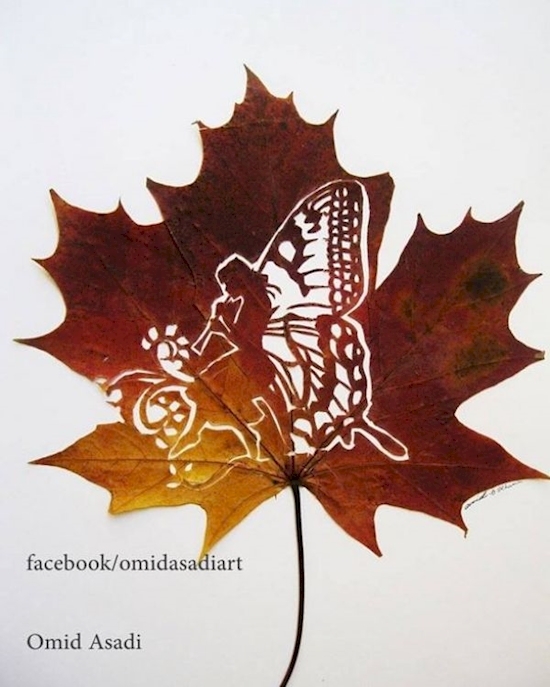 Asadi must have gone for a very specific leaf for this one, a multi coloured leaf to bring to life the fantasy of a fairy through a silhouette. 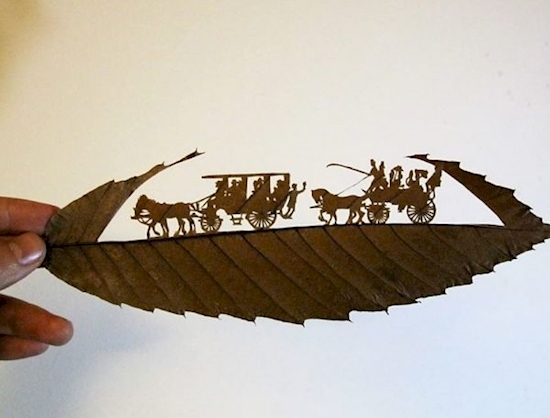 It is quite magical. 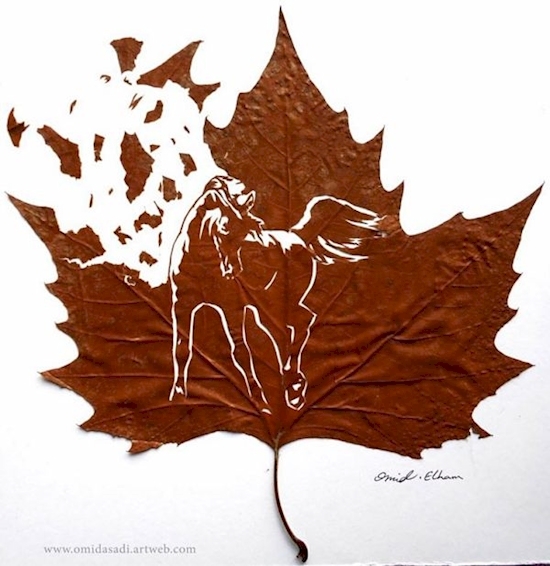 Even still, this is one talented artist that I am sure everyone hopes to see a whole not more from. 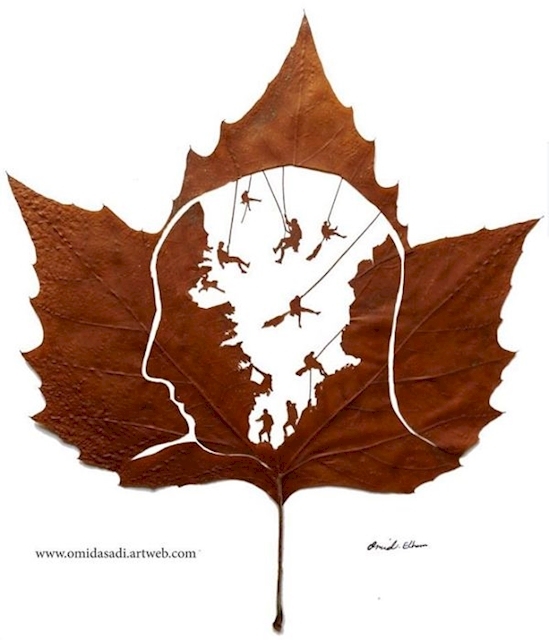 I wander what his next canvas will be?